The Asilidae are the robber fly family. They are powerfully built, bristly flies with short, sharp, stout sucking mouthparts. 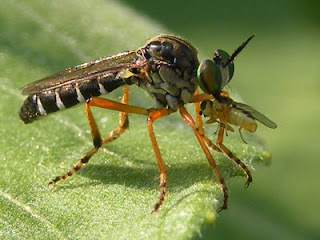 The name "robber flies" reflects their notoriously aggressive predatory habits; they feed mainly on other insects and they largely wait in ambush and catch their prey in flight. 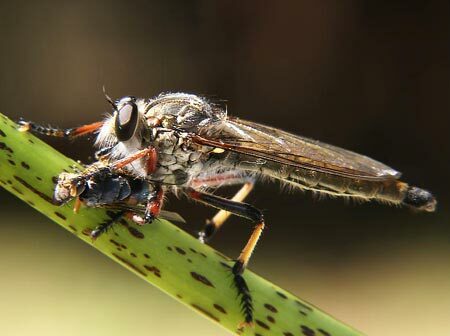 The Asilidae are a family in the order Diptera, the true flies. 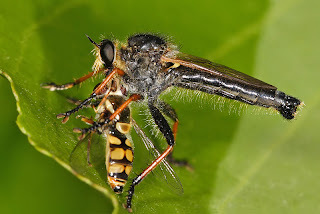 The common name of the Asilidae is the robber flies. 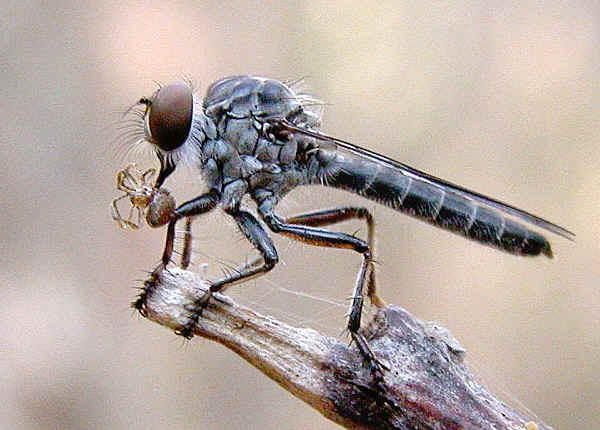 the family is cosmopolitan and over 7000 species have been described.